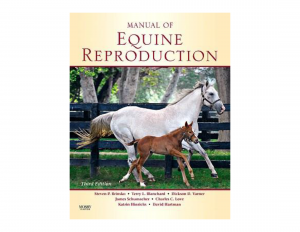 Now in full color, Manual of Equine Reproduction, 3rd Edition provides a comprehensive look at the reproductive management of horses, including management of stallions, pregnant mares, and neonatal foals. Expert authors use a concise, practical approach in discussing improved therapies and treatments in equine breeding. You’ll enhance your skills and knowledge with this book’s detailed coverage of techniques used in reproductive examination, breeding procedures, pregnancy diagnosis, foaling, and reproductive tract surgery.